At Wholegreen Bakery, we make real food from scratch that's 100% gluten free. We use quality ingredients like free-range eggs, fresh fruit, vegetables and herbs, the least amount of sugar, organic where possible and no preservatives, other nasties or pre-mixes. 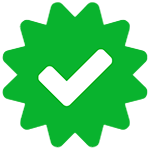 Wholegreen Bakery has passed the FoodByUs Quality Test. This means they have brought a sample of their food to a Quality Test Centre and it was passed by a panel of food experts. Genuine Buyers review their food after each order. To remain on the network, we insist that our Makers retain a very high rating. A deliciously moist loaf made with banana, date, coconut & chia. Ingredients: banana, egg, coconut flour, dates, sunflower oil, chia seeds, coconut flakes, raising agent, cinnamon, nutmeg. Poached free range chicken thigh cooked with sauteed buttery mushrooms, caramelised leek and celery, fresh lemon thyme, oregano, parsley and bechamel sauce. Enclosed in our buttery GF shortcrust pastry, dusted with white sesame seeds. Uncut approx. 520g premium sourdough style loaf with an amazing bitter crust. Stays soft for 4-5 days. Made from organic quinoa flakes, teff flour, rice flour, yeast, pysllium husk, salt, organic brown rice syrup and water. Highly nutritious, packed with protein, no preservatives. Lightly sauteed spinach, silverbeet and kale mixed with caramelised onion, garlic, feta, ricotta and fresh herbs, enclosed in our buttery GF shortcrust pastry and dusted with sesame. For Wholegreen Bakery, deliveries are available to Abbotsford, Alexandria, Allambie Heights, Allawah, Annandale, Arncliffe, Artarmon, Ashbury, Ashfield, Auburn, Balgowlah, Balgowlah Heights, Balmain, Balmain East, Banksia, Banksmeadow, Bankstown, Bankstown North, Barangaroo, Bardwell Park, Bardwell Valley, Bass Hill, Beacon Hill, Beaconsfield, Beecroft, Belfield, Bellevue Hill, Belmore, Belrose, Berala, Beverley Park, Beverly Hills, Bexley, Bexley North, Bexley South, Birchgrove, Birrong, Blakehurst, Bondi, Bondi Beach, Bondi Junction, Botany, Breakfast Point, Brighton-Le-Sands, Bronte, Brookvale, Burwood, Burwood Heights, Burwood North, Cabarita, Camellia, Cammeray, Camperdown, Campsie, Canada Bay, Canterbury, Carlton, Carss Park, Castle Cove, Castlecrag, Centennial Park, Chatswood, Chatswood West, Cheltenham, Chester Hill, Chifley, Chippendale, Chiswick, Chullora, Clemton Park, Clontarf, Clovelly, Clovelly West, Clyde, Collaroy, Collaroy Plateau, Concord, Concord West, Connells Point, Coogee, Cremorne, Cremorne Point, Cromer, Crows Nest, Croydon, Croydon Park, Curl Curl, Daceyville, Darling Point, Darlinghurst, Darlington, Davidson, Dawes Point, Dee Why, Denistone, Denistone East, Denistone West, Dolls Point, Double Bay, Dover Heights, Drummoyne, Dulwich Hill, Earlwood, East Killara, East Lindfield, East Ryde, Eastgardens, Eastlakes, Eastwood, Edgecliff, Elizabeth Bay, Enfield, Enmore, Epping, Ermington, Erskineville, Eveleigh, Fairlight, Five Dock, Forest Lodge, Forestville, Frenchs Forest, Frenchs Forest East, Freshwater, Gladesville, Glebe, Gordon, Granville, Greenacre, Greenwich, Haberfield, Harris Park, Haymarket, Henley, Hillsdale, Homebush, Homebush South, Homebush West, Hunters Hill, Huntleys Cove, Huntleys Point, Hurlstone Park, Hurstville, Hurstville Grove, Kangaroo Point, Kareela, Kensington, Killara, Killarney Heights, Kingsford, Kingsgrove, Kirribilli, Kogarah, Kogarah Bay, Kurraba Point, Kyeemagh, Kyle Bay, La Perouse, Lakemba, Lane Cove, Lane Cove North, Lane Cove West, Lavender Bay, Leichhardt, Lewisham, Liberty Grove, Lidcombe, Lidcombe North, Lilyfield, Lindfield, Lindfield West, Linley Point, Little Bay, Longueville, Lugarno, Macquarie Park, Malabar, Manly, Manly East, Manly Vale, Maroubra, Maroubra South, Marrickville, Marrickville South, Marsfield, Mascot, Matraville, Mcmahons Point, Meadowbank, Melrose Park, Middle Cove, Millers Point, Milsons Point, Monterey, Moore Park, Mortdale, Mortlake, Mosman, Mount Lewis, Naremburn, Narrabeen, Narraweena, Narwee, Neutral Bay, Newington, Newtown, North Balgowlah, North Bondi, North Curl Curl, North Epping, North Manly, North Ryde, North Strathfield, North Sydney, North Willoughby, Northbridge, Northwood, Oatley, Oxford Falls, Paddington, Padstow, Pagewood, Peakhurst, Peakhurst Heights, Penshurst, Petersham, Petersham North, Phillip Bay, Point Piper, Port Botany, Potts Hill, Potts Point, Punchbowl, Putney, Pymble, Pyrmont, Queens Park, Queenscliff, Ramsgate, Ramsgate Beach, Randwick, Redfern, Regents Park, Revesby, Revesby North, Rhodes, Riverview, Riverwood, Rockdale, Rodd Point, Rookwood, Rose Bay, Rosebery, Rosehill, Roselands, Roseville, Roseville Chase, Rozelle, Rushcutters Bay, Russell Lea, Rydalmere, Ryde, Sandringham, Sans Souci, Seaforth, Sefton, Silverwater, South Coogee, South Granville, South Hurstville, South Turramurra, St Ives, St Ives Chase, St Leonards, St Peters, Stanmore, Strathfield, Strathfield South, Summer Hill, Surry Hills, Sydenham, Sydney, Sydney Olympic Park, Sydney South, Sylvania, Sylvania Waters, Tamarama, Tempe, Tennyson Point, Terrey Hills, The Rocks, Turramurra, Turrella, Ultimo, Vaucluse, Wahroonga, Wareemba, Warrawee, Waterloo, Watsons Bay, Waverley, Waverton, Wentworth Point, West Pymble, West Ryde, Wheeler Heights, Wiley Park, Willoughby, Willoughby East, Willoughby North, Wolli Creek, Wollstonecraft, Woollahra, Woolloomooloo, Woolwich, Yagoona and Zetland. You can also pick up from Eveleigh, North Sydney and Waverley. Cherie from Wholegreen Bakery has a rating of 5/5 from 5 reviews. Great tasting gluten and egg free bread! Never imagined gluten free could taste so good! Really amazing bread! I am recommending to all my friends, especially to people who say: how can you give up gluten? Answer? This is how! The most amazing savoury gluten free savoury muffins in the world. Amazing quality and freshness. Will be a repeat customer for years to come. These are incredible, you would never even know they were gluten free. I haven't had such a great pie in at least 5 or 6 years. Consider taste, presentation, value and your overall experience. Please provide more details to help cherie-lyden improve. We look forward to seeing your review! To write a customer review you must have ordered from this maker. This ensures our community has the best quality and most objective feedback. Only one review per received order is allowed. Thank you, your review has been added.